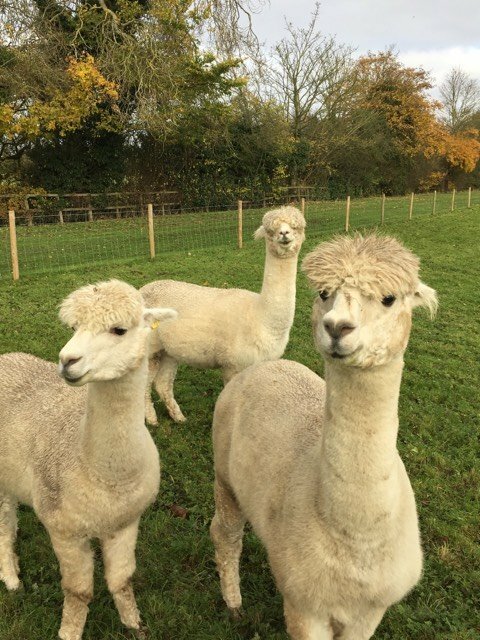 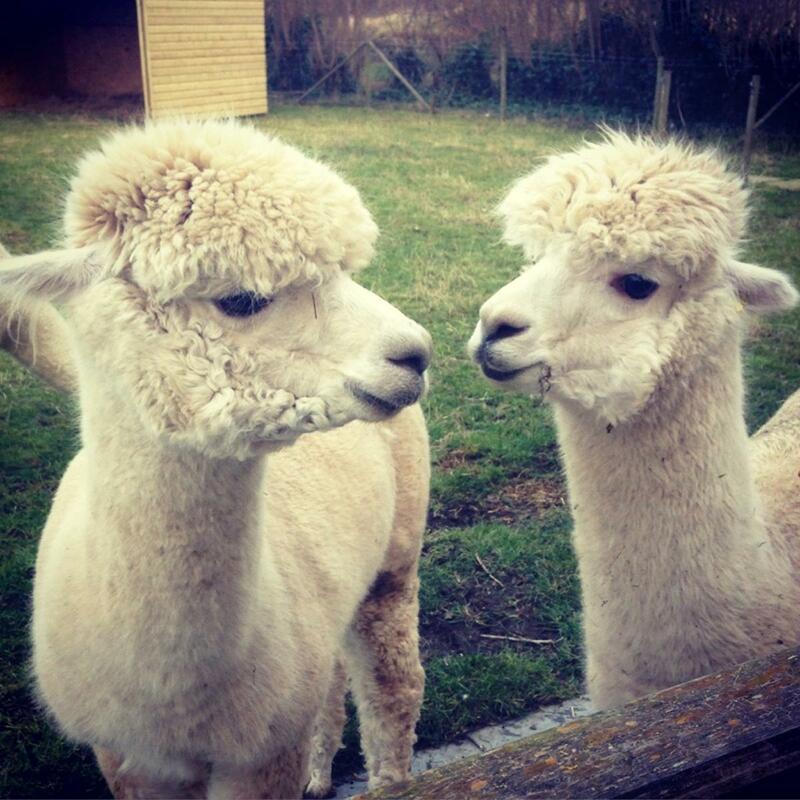 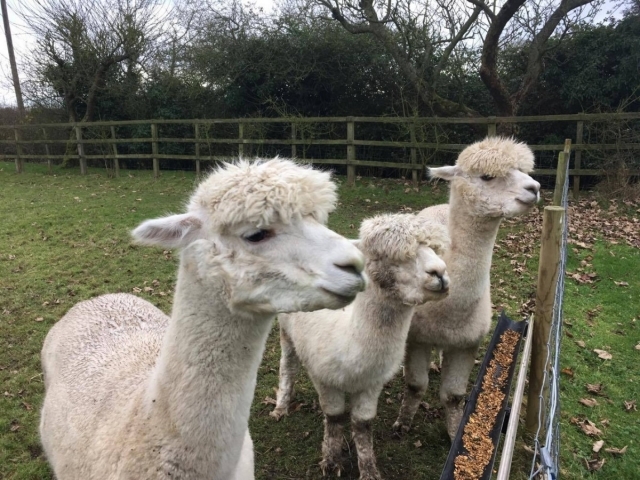 Our alpacas are here from April until November. 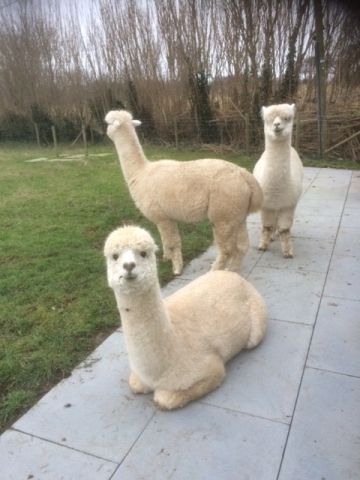 The Suri and the Huacaya (pronounced wa-ky-ya). 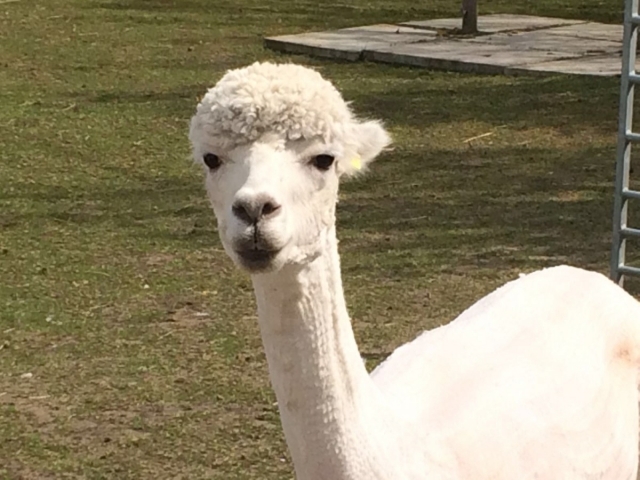 The Huacaya has a wooly, dense, crimped fleece — like a teddy bear. The Suri has fiber that grows long and forms silky dreadlocks. 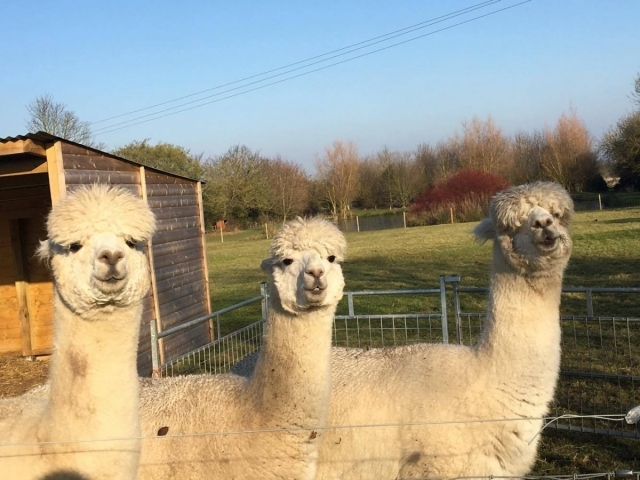 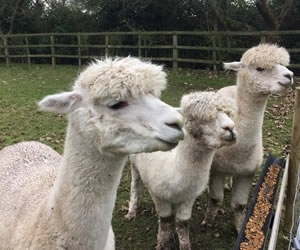 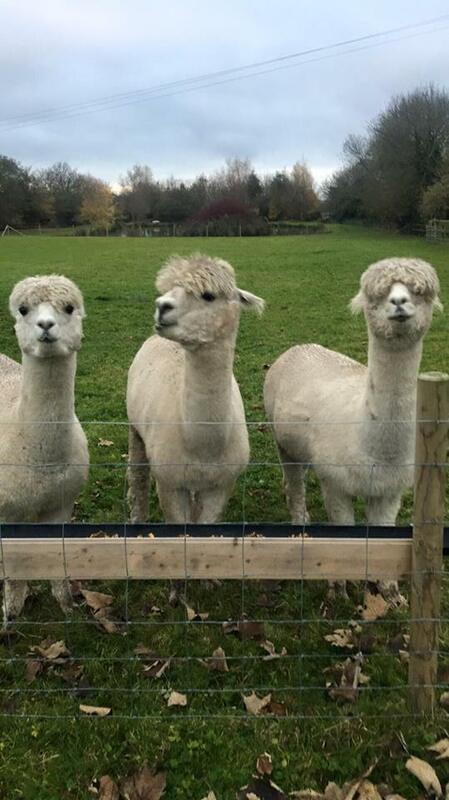 Our alpacas are Huacaya and their names are Lucky, Apollo and Endeavor.